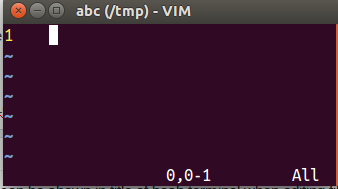 I recently got to know that useful info can be shown in title of bash terminal when editing files using vim. Adding below displays file name, path of the file being edited. But on exiting vim, the title is set to 'Thanks for flying vim'. I have different title set for each bash terminal and would like it to be restored once I close the vim? Any way to change this behaviour of vim? This option will be used for the window title when exiting Vim if the original title cannot be restored. Only happens if 'title' is on or 'titlestring' is not empty.
" if there is no &t_ts sequence, is the terminal type known? At least on Arch, bash's default is the short hostname, so unless you have something else changing it sometimes, this will emulate restoring it. 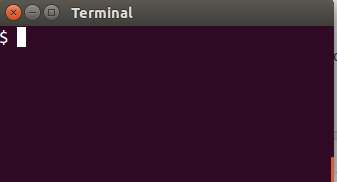 As of 8.1.0253, Vim will use the terminal's title stack to push/pop the title. This is more robust than trying to query the title from X, but not all terminals may support this functionality. Not the answer you're looking for? Browse other questions tagged vimrc terminal or ask your own question. How can a character be inserted during an edit session by its Unicode numeric value? How can Vim be configured to restore normal terminal color on exit? How to execute (using bash) a buffer with line continuations (\)?